"Reach for the Stars" is the name of our first quilt challenge this year. In honor of our 20th year, your entry should represent where our guild is headed in the next 20 years. 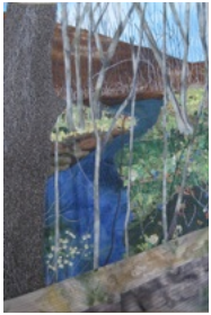 It can be pieced or appliqued or any type of mixed media. * Size: 30" X 30" to 40" X 40"
Each quilt should be bound, and is due on March 11, 2014. 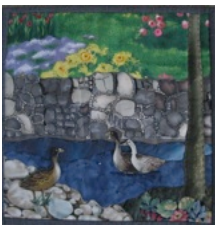 The top 8 quilts will be entered in AQS Ultimate Guild Challenge. 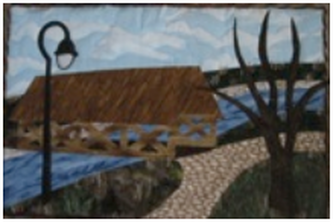 To get an idea of what quilts are produced for our quilt challenges, a few of the quilts created for our 2012 RQG Quilt Challenge, "Along the Riverwalk" are shown below.